When it comes to optimum quality Diaphragm Valve, S. J. 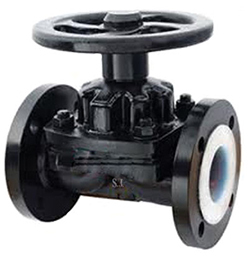 Engineers serves as the one stop destination for Diaphragm Valve. Our Diaphragm Valve is made using high quality metals of different grades and specifications. Right from 15mm to 400mm, we can cater a diverse range of sizes. Furthermore, we offer the product at very reasonable prices. - DESIGN	: WEIR TYPE, LINED & UNLINED. - END CONNECTION	: SCREWED, SOCKET WELD, FLANGED END. - PRESSURE RATING : CLASS	ASA 150, BS 10 TABLE D, E, F, H.